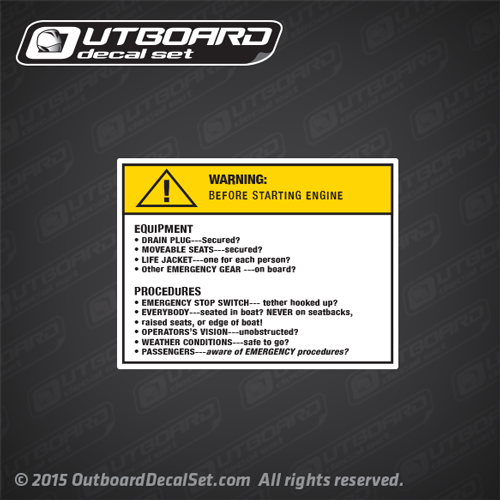 Warning Before Starting Engine decal for your boat sold by Each as seen on most Stratos Boats. Printed over White vinyl with Black and Yellow Inks. 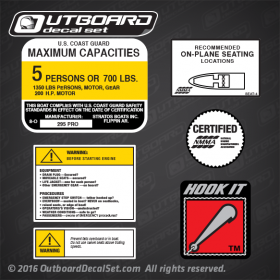 • LIFE JACKET---one for each person? 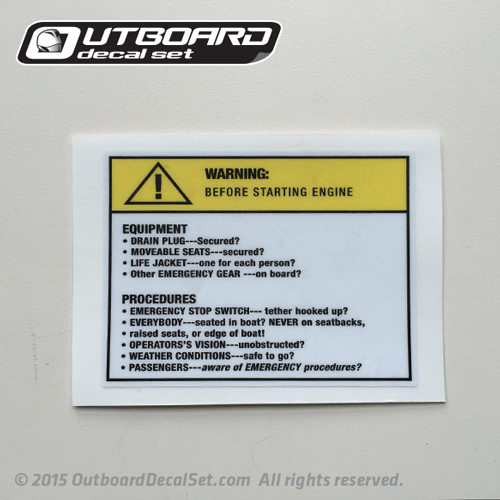 • Other EMERGENCY GEAR ---on board? • EMERGENCY STOP SWITCH---tether hooked up? • EVERYBODY---seated in boat? NEVER on seatbacks,raided seats or edge of boat! • PASSENGERS---aware of EMERGENCY procedures?"